This time we turn our attention to shared parental leave which is causing some concern in organisations. If you look at what is involved, it shouldn’t just be causing concern, it should be giving you serious nightmares… Sorry about that. It might be that you take 40 days to sort this out and set it all up, only to find that no employee ever takes advantage of this opportunity, BUT who are we mere mortals to suggest that you shove this to the bottom of your inbox and pretend it’s not happening. That tends not to be a great idea if you want to keep your organisation in the know and safe from legal action. This is serious though and we recommend you get help with the policy and guidance to help you implement what is required. Mess this up and you will be in a right pickle! 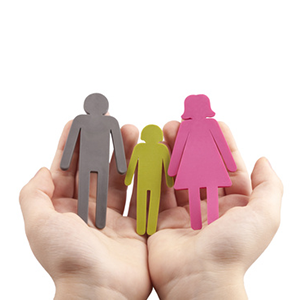 The Shared Parental Leave Regulations 2014. These are contained in a brief 40 pages. You can then move on to ACAS’ guidance. This summarised it all beautifully and condensed it all down to another 40 pages. Having gone back to the drawing board, ACAS then created an 11 page policy for you to peruse if you have the time or inclination and are still awake. When does your headache start? Now if you want to plan and get this all right – particularly considering that parents who may be considering taking advantage of shared parental leave will already be expecting. There is no doubt that the new Shared Parental Leave (and other associated changes) which come into force in the UK on 5th April 2015 are complex! Maternity leave will remain exactly the same – and women will still be able to take the traditional route of maternity leave, taking up to 52 weeks off and receiving Statutory Maternity Pay/Maternity Allowance (if eligible) for up to 39 of those 52 weeks. Ordinary paternity leave will exist in exactly the same way as before i.e. fathers/partners will be able to take off 1 or 2 weeks within 56 days of the birth (paid at normal flat rate which is currently £138.18 per week). Additional paternity leave will be abolished and instead will be replaced by Shared Parental Leave. From 1st October 2014 fathers/partners have been able to take time off to attend up to 2 ante-natal appointments (unpaid). Adoption leave stays at it currently is i.e. primary adopters will be able to take up to 52 weeks adoption leave, and will receive pay (if eligible) for 39 of those 52 weeks. Primary adopters will now be able to take paid time off to attend up to 5 adoption meetings (in the same way that women on maternity leave are able to take paid time off to attend ante-natal appointments). Secondary adopters will be able to take unpaid time off to attend up to 2 meetings. Parents will now be able to share up to 50 weeks Shared Parental Leave to care for a child due or adopted on/after the 5th April 2015, provided that the mother or primary adopter has curtailed her maternity/adoption leave and pay. Alternatively an employee can request for leave to be taken in a discontinuous period (i.e. in periods of 1 week e.g. 1 week in work, 1 week off etc.) although there is no obligation for organisations to agree to a request for discontinuous leave. Parents either take 3 continuous periods of leave or can make up to 3 requests for discontinuous periods of leave. If eligible, (assuming that there is some maternity/adoption pay left to be shared) Shared Parental Leave Pay will be available (up to a maximum of 4 weeks at 90% earnings and 33 weeks at the Shared Parental Leave standard rate), and this can be shared between the parents depending on who is taking the leave. During the Shared Parental Leave parents will be able to carry out up to 20 Keeping in Touch Days (now called SPLIT Days – Shared Parental Leave in Touch Day). Each parent will now be able to take up to 18 weeks (unpaid) leave before the child reaches 18 (previously they could only take 18 weeks until the child reached 5, unless they were disabled). If you employ both father and mother, you might find that both are off taking share parental leave at the same time. What are the chances of an employer being suddenly surprised with a demand for time off due to not being aware the partner was pregnant (or that adoption was progressing)? There is still a 2 week compulsory maternity leave period for women (or 4 weeks if they work in a factory). The onus is very much on the employee to provide information and notify the employer of what is happening, including providing a signed declaration to their partner’s employer regarding entitlement to pay and leave. You, the employer, need to ensure you have the necessary forms and guidance so the employee can do this. What do you do when two partners (who work for different employers) keep changing their minds about who should have time off? What do you do if a woman gives up her right to maternity leave only to find she has made a monumental mistake? How on earth can you provide cover and manage sensibly when people have the right to take 3 periods of continuous leave (e.g. a month off work, a month in work, a month off etc.) or even request discontinuous leave (e.g. a week off work, a week in work, a week off and so on)? How do you deal with a person who has been paid the higher rate of pay (90%) after their partner has falsely declared their earnings? I.e. what happens when fraud occurs? Are payroll departments able to be flexible enough to keep up with constant changes? Do you need to review the contracts you use for those employed to cover maternity leave periods? What do you do if you offer enhanced maternity pay? Will you replicate it for shared parental leave? How on earth are you going to explain how this works (and how it can be managed) to those managers that have staff who might be interested in this new right? These questions show that this isn’t just about how the law applies; this is about employee relations; trust; the management of absence; employee wellbeing; paperwork; and above all, organisation! What we have set out here is obviously a summary! The changes are very complicated and we have only included the highlights so you can get a feel for the overall changes. As we said earlier, we strongly recommend that you get specific advice about implementing the changes and updating your policies. As mothers who are due on or after the 5th April 2015 will be a few months pregnant now, we recommend launching your new policies and documents as soon as possible and running the old and new rules concurrently. If you need to issue your staff with any maternity, paternity or shared parental leave documents, you can download templates documents from Docs Wizard. Annual essentials membership is £49 + VAT for access for 100’s of documents including everything you need to manage maternity, paternity or shared parental leave.